Old US 62/Old OK 51 Illinois River, Cherokee Co. 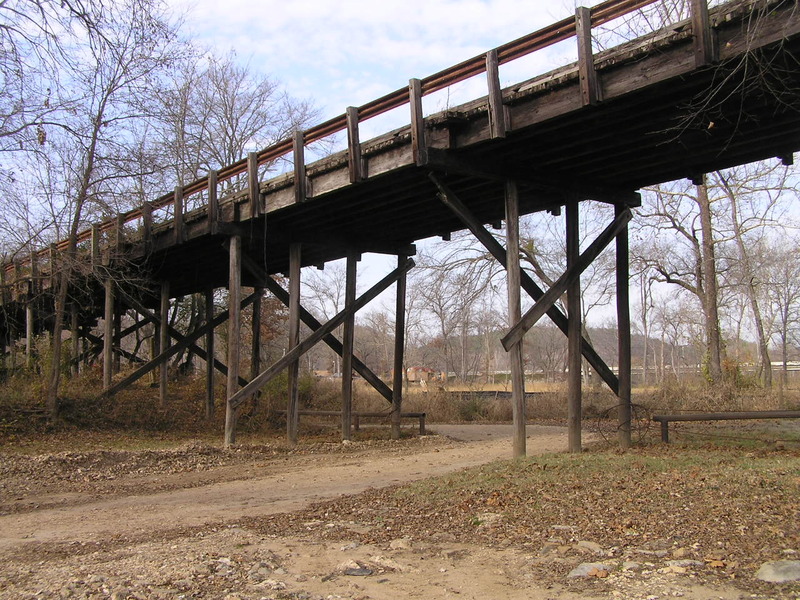 Built Circa 1920, this bridge consists of two pin-connected Pratt through spans, a short timber approach trestle on the east end, and a rather lengthy timber approach on the west end. 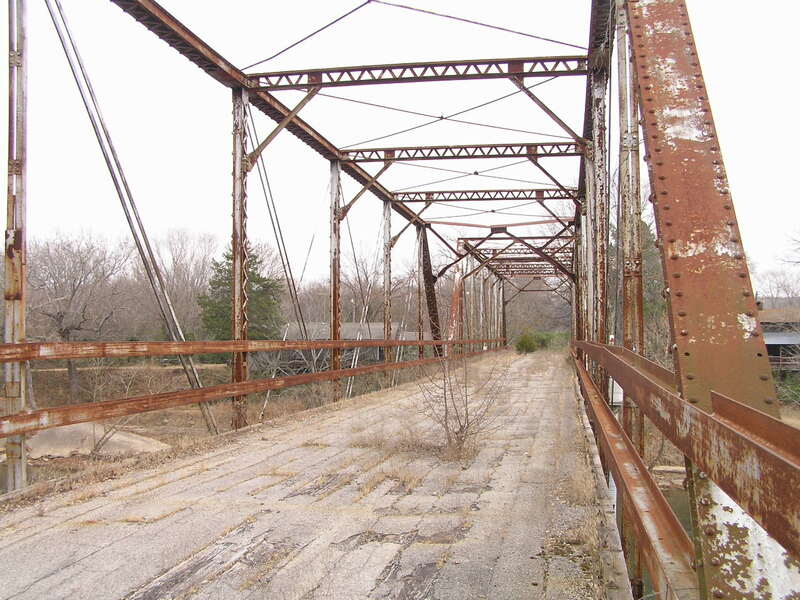 The two truss spans consist of a 6-panel span approx. 100 feet long for the west span, and a 7-panel span approx. 120 feet long for the east span. The longer span was noticeably taller. The above photo looks east from near the west end of the west approach. 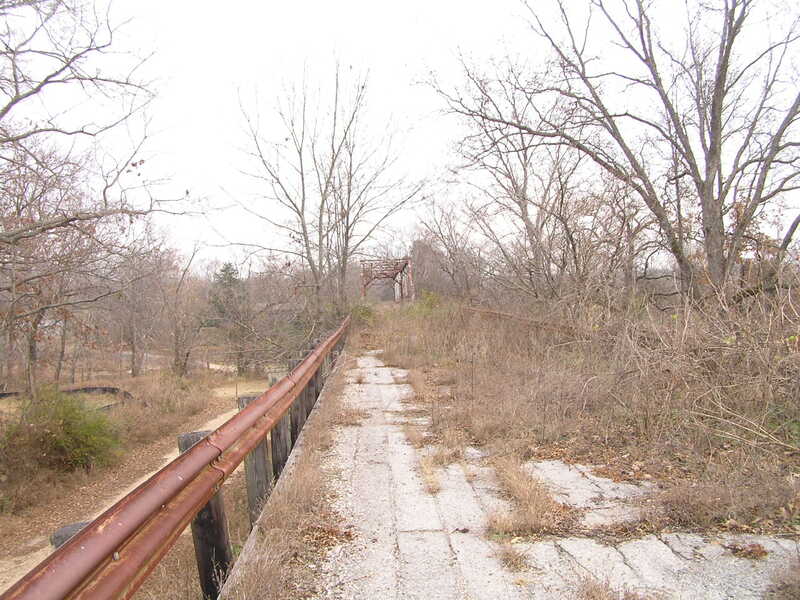 The deck is asphalt-overlaid wood throughout, and as you can see, much vegetation has taken hold on the deck. Below, another view from the approach. 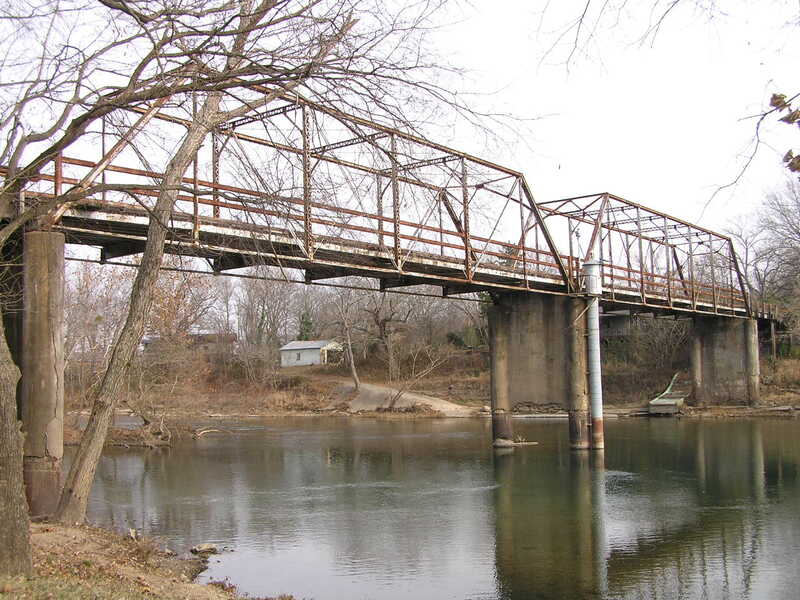 Above, the two Pratt spans as viewed from the south. 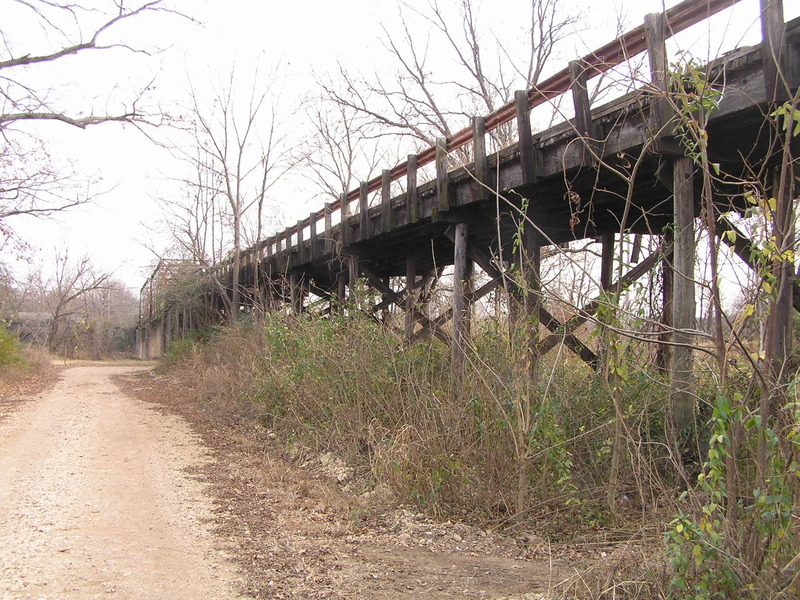 Below, the west timber approach trestle, looking towards the steel spans. Above, on the the deck of the east span looking west. 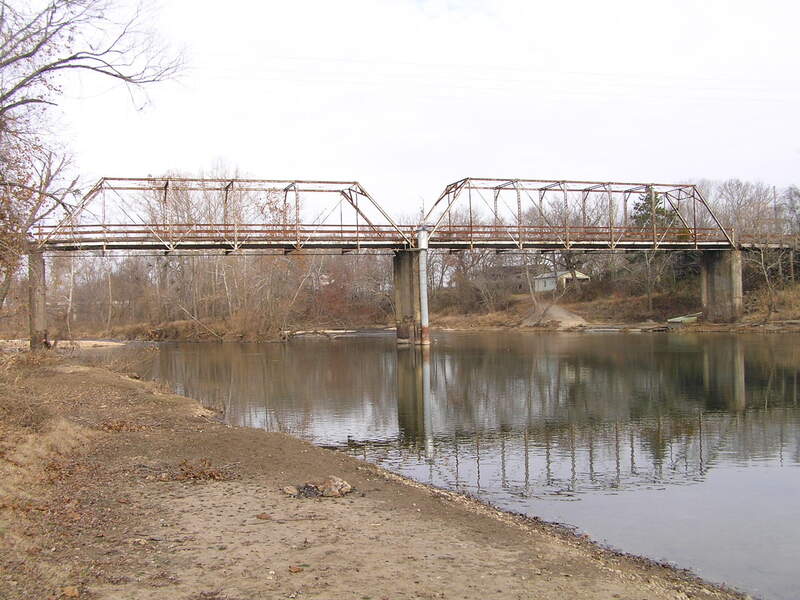 As you can see from this photo and the one below, a few trees are growing even on the river spans. 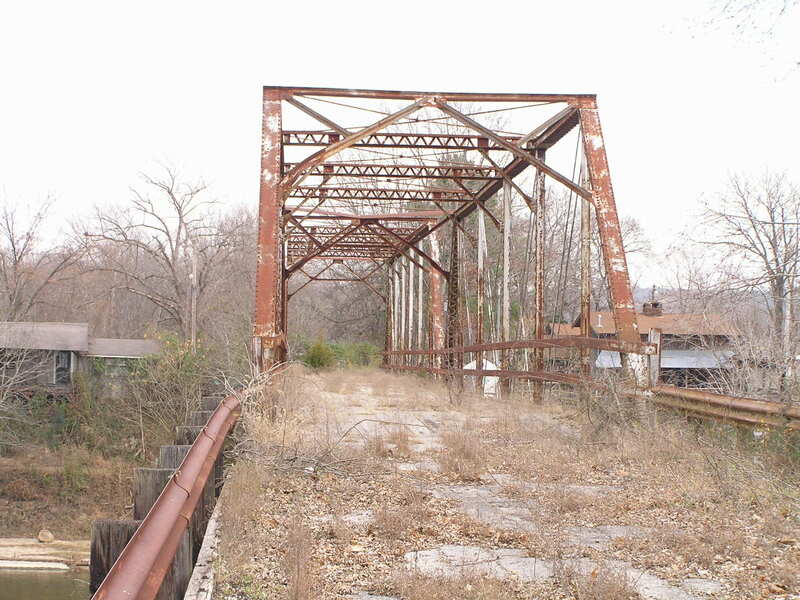 This view looking west (below) shows a small evergreen that has taken root on the bridge's deck. Above, the middle river pier. 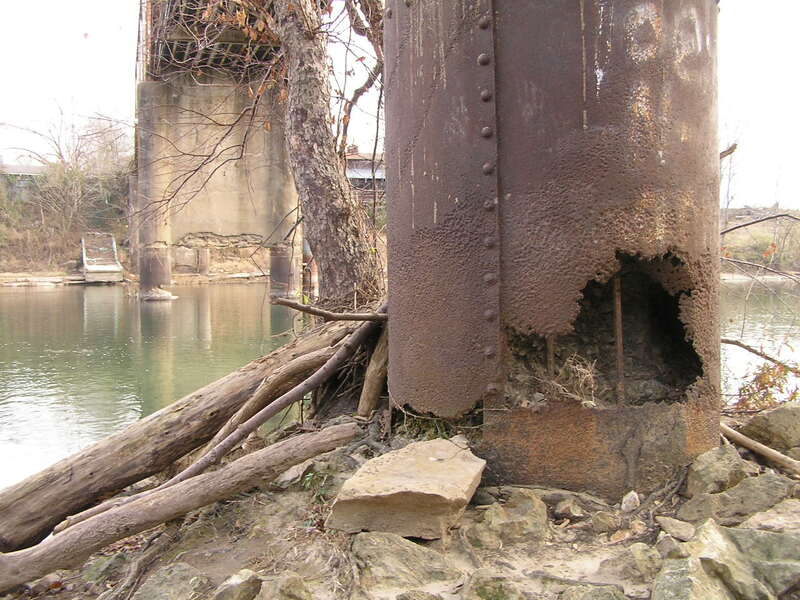 The piers are really in very bad shape, and we have concerns about how much longer this bridge will be around. The piers look like they may have started life as conventional lally columns. Below, a close-up of the west pier. 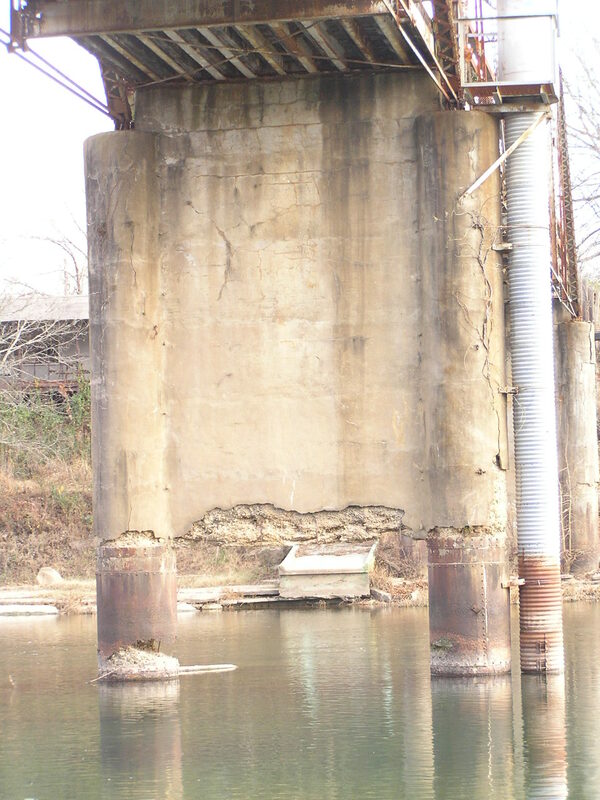 Note the square rebar rods inside the column. Above, it looks like some giant took a bite out of the middle pier. Below, Even the approaches have suffered, here one of the piles has been removed to give more space for a small road. 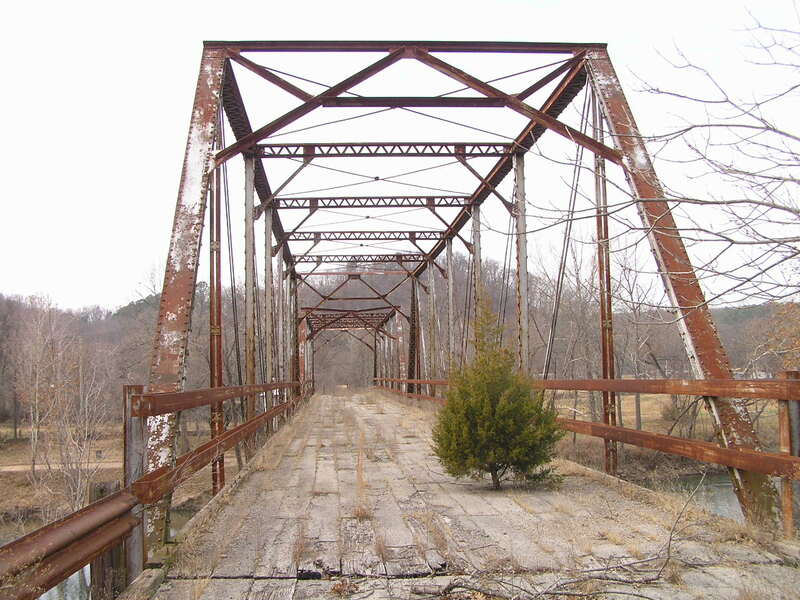 Above, an angled view of this bridge. 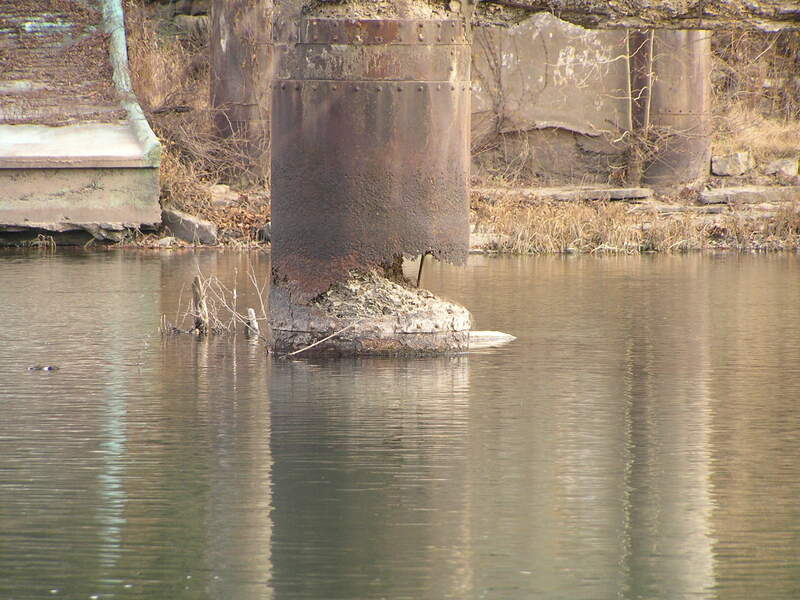 We don't often see bridges where the sub structure is in such precarious condition.